Ischia is the biggest island in the Gulf of Naples. 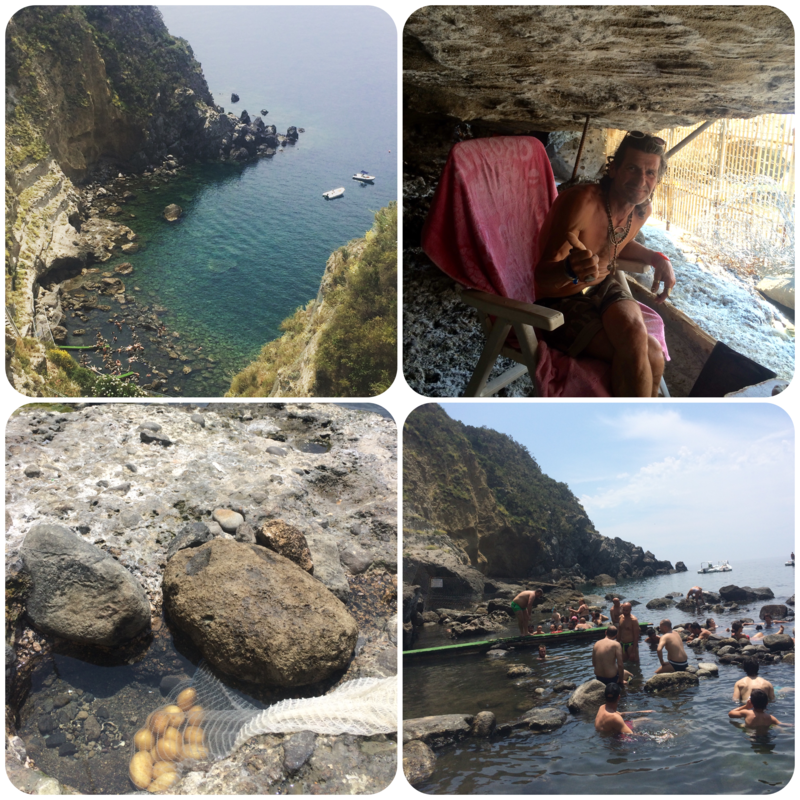 I did a day trip to Baia di Sorgeto (on the southwest coast) last year to visit the popular hot springs. I didn’t know what to expect because I’d never been to hot springs before. It wasn’t the easiest of places to find but was definitely an experience like no other. Upon my arrival I met Leonardo who was a local and invited me to hang out in his cave which was adjacent to the water. Ischia’s underground volcanic activity bubbles up and naturally heats a number of different pools which vary in temperature. In some parts the water was so hot it was unbearable. Leonardo boiled eggs and potatoes in one of the pools which he later offered to me. Instead I chose to have lunch at Ristorante Bar La Sorgente where the food was good and staff were friendly. I also bought a jar of natural clay from him which I used to give myself mud masks.